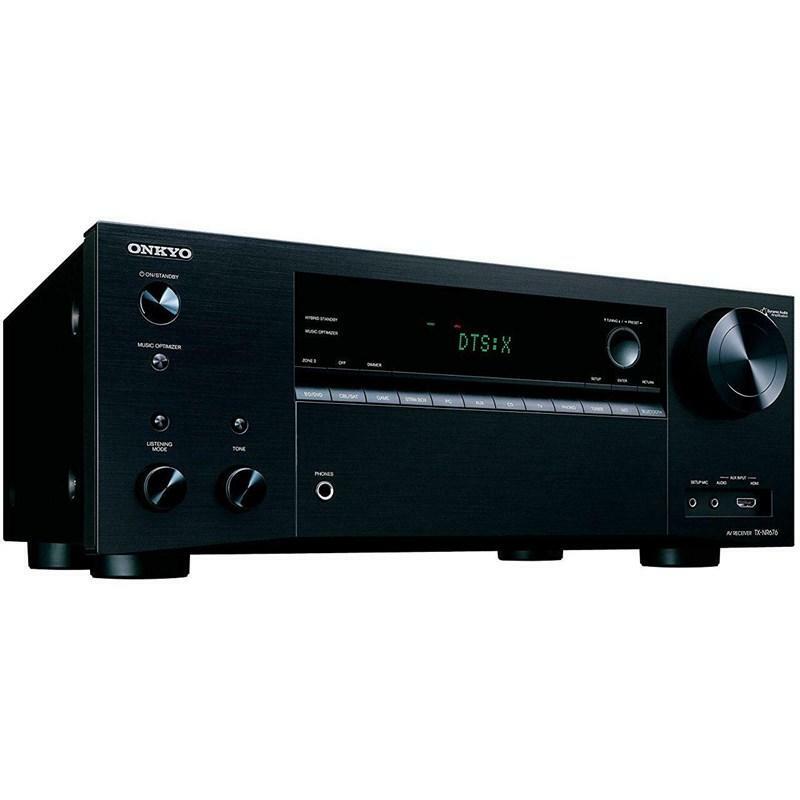 Enhance your home theater system with this powerful Onkyo 7.2-channel network receiver. Equipped with Chromecast and seven HDMI ports, this unit is ideal for complex setups and works with a range of devices. 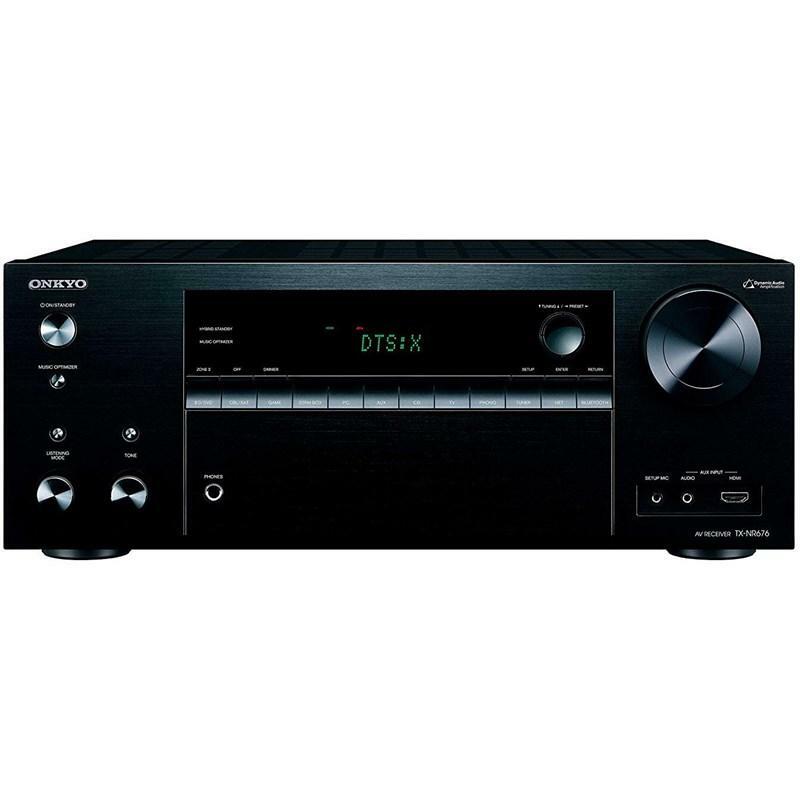 Enjoy high-definition audio at home with this Onkyo 7.2-channel network receiver, which outputs a formidable 210 watts per channel and supports Dolby TrueHD sound. As part of the KIN Mini series, the KIN Mini Flex is conceived to be ultra-flexible, ultra-compact and ultra-capable. Up or down, recessed or flat-out, table top, on-wall or on-ceiling, it delivers perfect in-phase precision and accuracy. 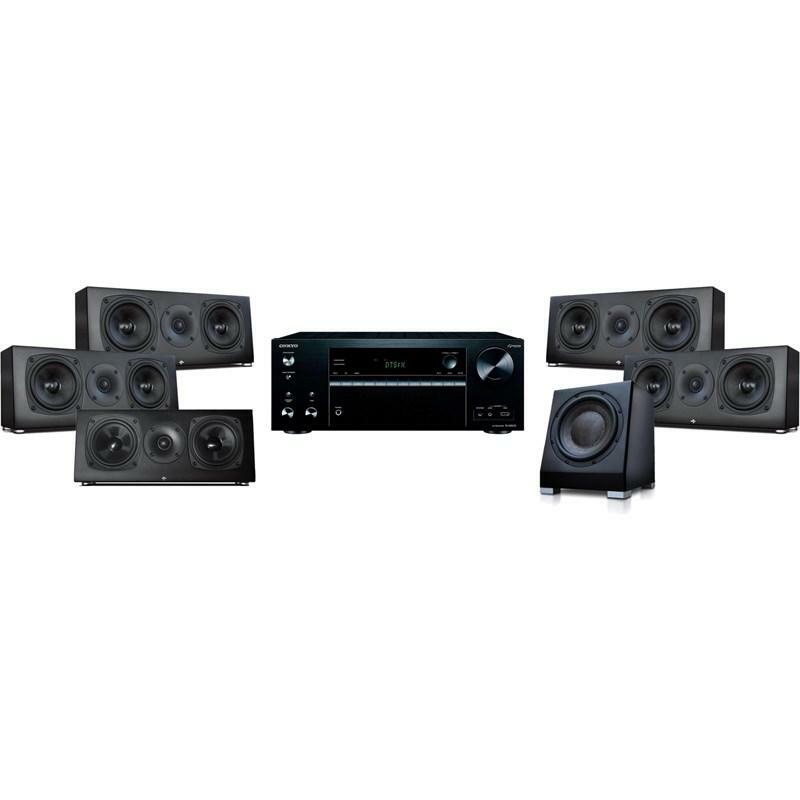 Even if arranged in an asymmetrical configuration the Flex maintains a balanced soundstage image. Beautifully crafted for simplicity of use, the Flex can be positioned as a left/right or center unit. Also included in this bundle is the Totem Kin Sub. 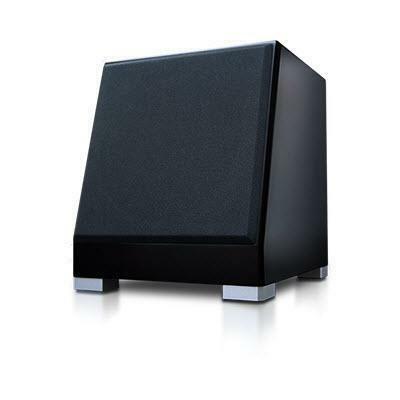 Packed into an ultra small footprint, the Kin Sub's refined technology comes on strong with hefty performance and scale. 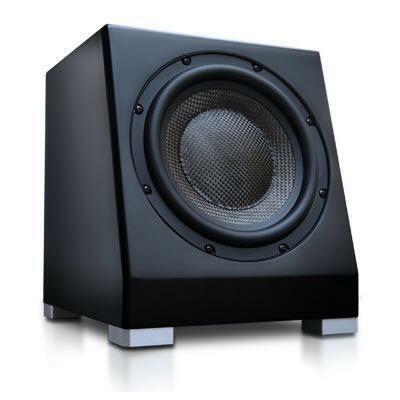 In nearly all scenarios it's ideally suited for discreet bass augmentation. 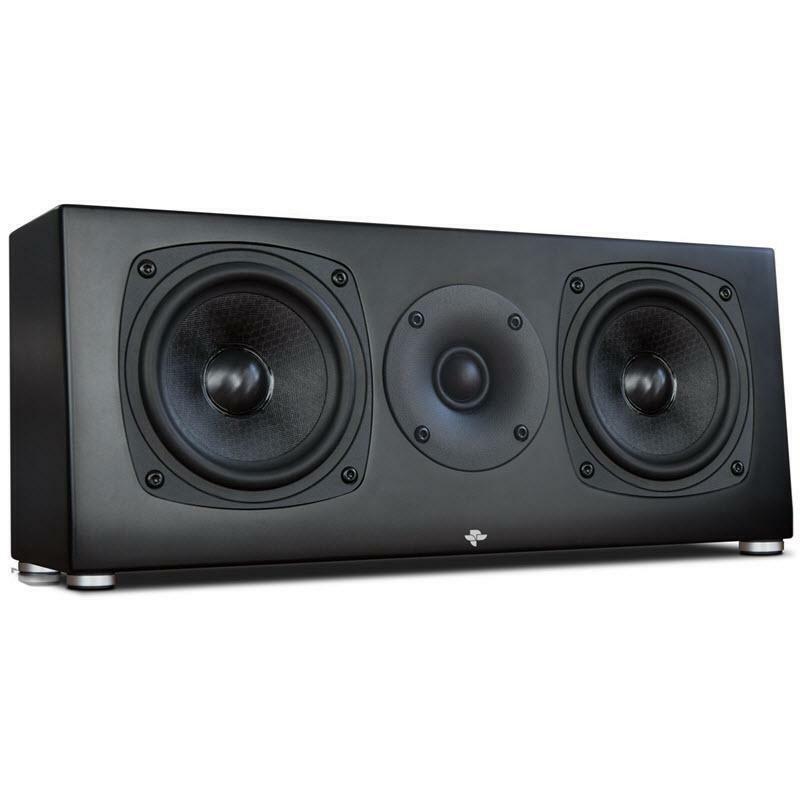 Already flexible for use across a wide range of adaptations, the angled front face enhances options either for small scale desktop duty or full scale in room support.